The theme is “Breakthrough the limit to win”. It depicts a reality that nothing is impossible in life. No matter how hard we fall, we still have the ability to stand up and work to the top. The theme is a continuity of what Trimegah had faced in the past. After the Company got back to the race, it found out that success is something real. In 2013, Trimegah even launched new products and revenue rose. Trimegah has proved that anything is possible. 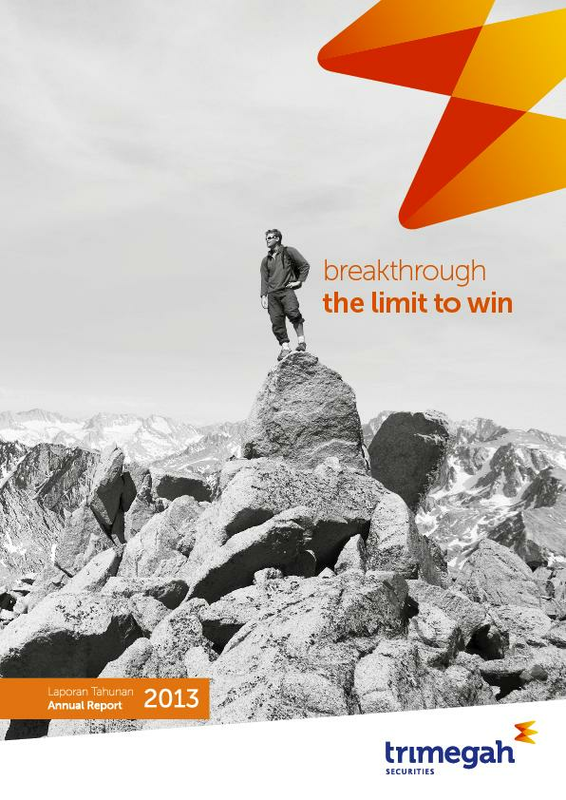 In short, “Breakthrough to the limit to win” is a remark of the journey in 2013. The theme is explored in series of visual of “Off Road Triathlon”, a multiple-stage sport competition. Off-road Triathlon includes swimming, biking, and running. These activities require determination, strategy, and strength.